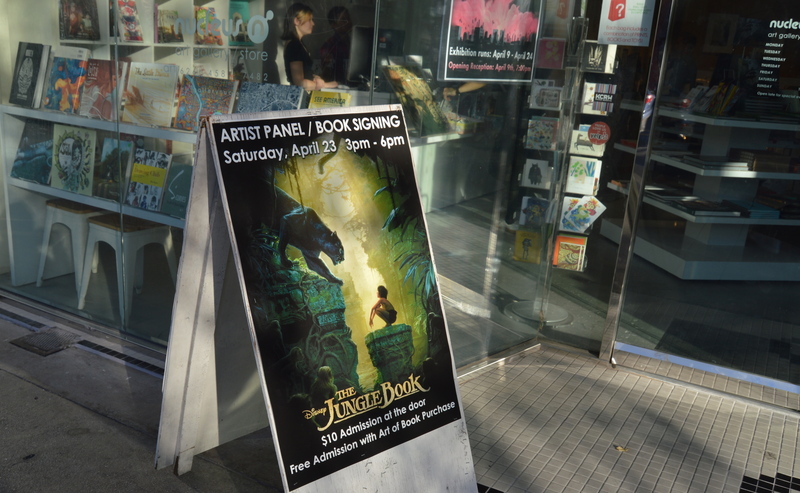 Home » The Art of The Jungle Book Signing! The Art of The Jungle Book Signing! Jungle Book has been topping the box office in the theaters and the artists who helped bring it on screen were present at Gallery Nucleus in Alhambra today. They include concept artists, Jonathan Bach and Seth Engstrom, illustrator, Shae Shatz, Vance Kovacs, concept illustrator, and storyboard illustrator Oliver Dear. All of the guests presented in the presentation showing concept sketches, paintings, and storyboards. 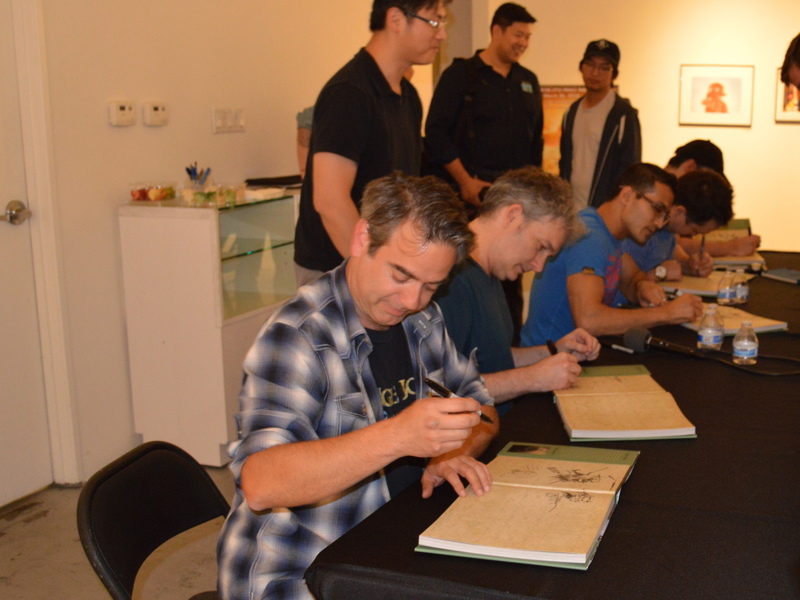 They signed and were able to sketch for the Art of The Jungle Book hardcover book that was available for the signing. The concept illustrations worked on different versions of Baloo as the native sloth bear (described as having a “Batman symbol” on his chest) and finally the sloth bear without symbol in the film. Another scene had bats exploding out of a tree from a concept painting. The bats were said to be spies for Shere Khan in an early version of the film. Gallery Nucleus holds a number of signings and presentations as well as featuring galleries including the current The Little Prince Tribute Exhibition upstairs in the gallery and n the downstairs gallery is the Bartkira Nuclear Edition Exhibition. Thanks to everyone at Gallery Nucleus for another sterling signing event!